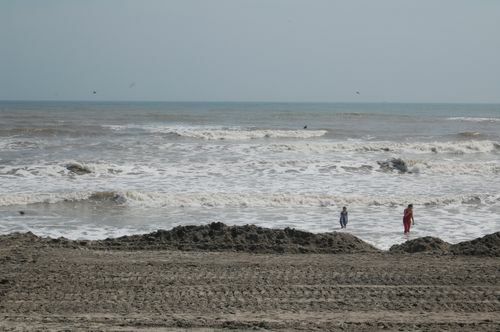 We heard on TV while we were there that the monumental repair effort involves dredging the sand that had washed into the ocean during the storm and depositing it back onto the shore. At this point the work had stopped for the weekend but was not yet completed. There was a sizeable drop-off next to a very narrow stretch of flat beach.